Lucy Boston wrote several stand-alone children’s novels which are out of print. 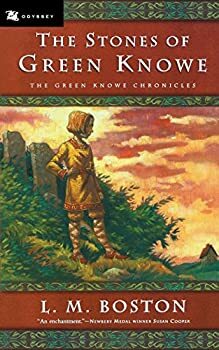 Green Knowe — (1954-1976) Ages 9-12. 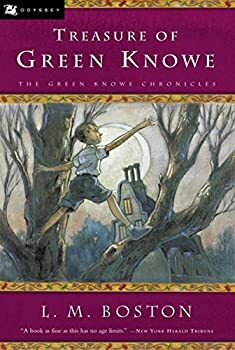 Publisher: Tolly comes to live with his great-grandmother at the ancient house of Green Knowe and becomes friends with three children who lived there in the seventeenth century. Reading this book was a strange experience for me, as even though I had never read it before in my life, it evoked a strange sense of familiarity that only the very best books, movies and music are able to achieve. Usually these are reserved for the ones that are experienced in childhood and carried through into adulthood, but every now and then one arrives that touch one on so deep a level that one feels they've always known them. 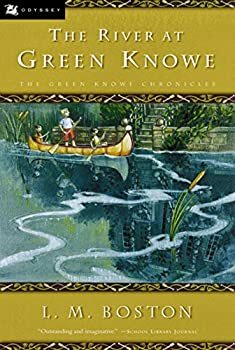 The Children of Green Knowe is one such book. 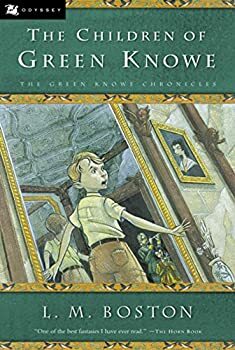 Tolly has returned to Green Knowe and his Grandmother full of excitement at being there once more, but an unhappy surprise lies in wait for him: the portrait of the children Toby, Alexander and Linnet is missing from the wall. It would seem a small loss but for the fact that its absence means that the children's spirits are also not present in the house. 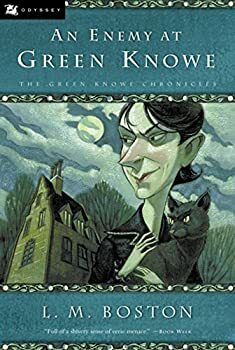 As the third book in Lucy Boston's Green Knowe series, readers who are moving through the books chronologically may be a bit surprised at the extreme change of formula in the story that dictated the two previous books. There is no Tolly or Grandmother Oldknow and their discoveries of past inhabitants of the house, but rather two elderly women who rent the house and send away for a niece and two children from "the Society for the Promotion of Summer Holidays for Displaced Children." The fourth book in L. M. Boston's Green Knowe series is a step away from the usual formula. Tolly is absent once more, though luckily Mrs Oldknow has returned in time to receive a letter from young Ida, (from The River at Green Knowe) asking her if her friend Ping might stay with her in her mysterious, magically inclined house. Missing Tolly, Mrs Oldknow agrees, and soon Ping, a young Burmese orphan and refugee, is happily exploring Toseland Thicket at Green Knowe. 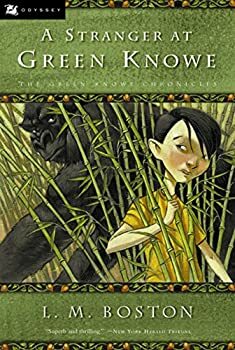 The fifth book in Lucy Boston's Green Knowe series finally brings together our two main protagonists: the house's blood relative Tolly and the Chinese refugee Ping, both of whom have featured in the previous books, but never together. Unfortunately we do not see their meeting, but instead join the story half-way through the summer, by which time the two are already best friends.